Since I've been busy here's what I've been into summed up in 5 points. 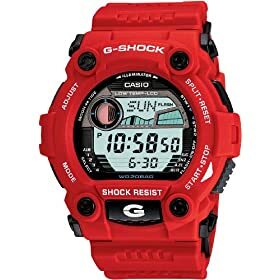 2.G-Shock Red G Rescue: It's big, gaudy, and full of functions I'll never use... cool. 3. Vintage MAD TV: With the little more freetime I've had, I've been hitting up youtube and ODing off vintage MAD TV clips from when they were funny. 5. REST :)... It feels good for the grind to slow (it never stops)... A couple of days ago was the first time in months I had nothing to do... one of the best feelings.